Since its inception in 1966, Richmond International has carved a path for itself in interiors, becoming a leading name in the world of luxury design. Working with clients ranging from independent owners to multinational brands, Richmond have designed, refurbished and restored some of the world’s most prestigious hotels. Previously at DesignCurial, we’ve spoke to the studio’s principal, Fiona Thompson – but there was an element of Richmond International that wasn’t covered: its remarkable contribution to the world of cruise ship design. Hoping to right this wrong, we sat down with one of studio’s directors, Terry McGillicuddy, and discovered just what it takes to design these megaliths. Throughout his impressive career, McGillicuddy has worked in countries around the world, and with the likes of Anita Roddick (the founder of the Body Shop). 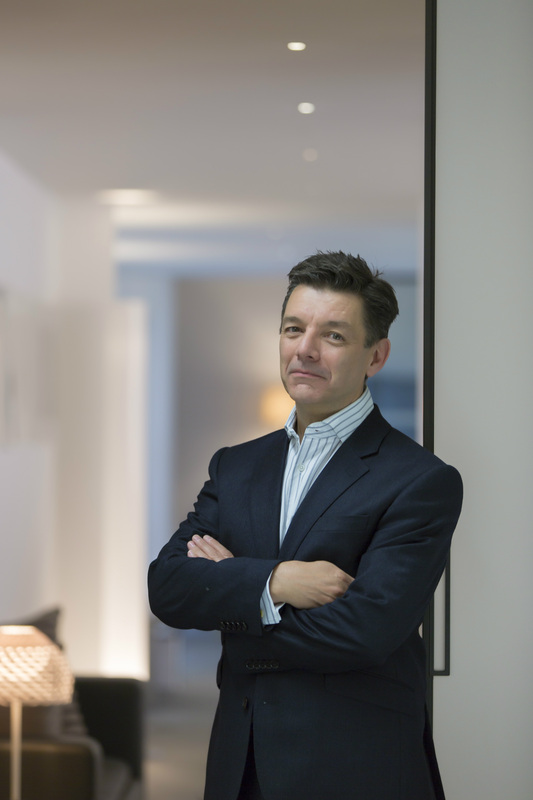 In 2002, he was introduced to Richmond when an old colleague – who had become Richmond’s managing director – approached him, asking him to help with the design for the spa at the Four Seasons Hampshire. “I met Fiona, and came to help them for a couple of weeks… and I’m still here!” McGillicuddy laughs. “They said [they had a] hull, but I kept [telling them] to move the gym away from the spa,” says McGillicuddy. “They came back with a new design, and they’d moved the rooms around.” Richmond embarked on the project, designing the spa on what would turn out to be the MS Royal Princess. When the project was close to completion, Carnival Cruises approached Richmond with a second hull, which was to be given to P&O cruises. “They gave us the whole ship!” McGillicuddy says. “Just over 1800 cabins, and it [had] 15 food and beverage spaces, and five entertainment rooms – we just said yes. They came to us because they wanted the Dorchester on sea. It was fantastic for us, and that led onto other things.” But this wasn’t any ship Carnival had given the studio – it became P&O’s flagship, the MV Britannia. A ship, he explains, is built in blocks. “Engineering blocks. If they’re building it outside on a dock they start at the bottom and build up, deck by deck… There are lots of things to learn, but it’s really developed for us,” McGillicuddy says of the experience. After Richmond was tasked with designing the entirety of MV Britannia, it also worked alongside two other design companies on the P&O Iona. “We’ve done theatres, we’ve done show bars, we’ve done casinos, cabins, crew mess areas, pool areas – we’ve done a bit of everything,” McGillicuddy says. McGillicuddy reveals that when designing for cruises, an entire concept can be created and approved by the client before the shipyard is told about the idea. Materials can have already been chosen, and visualisations already created and signed off, before the shipyard is approached to confirm that the design is feasible. Discussion turns next to Richmond’s recent announcement that they will be working on Cunard’s latest ship. Working alongside them will be David Collins Studio and Sybille de Margene, both of which have not previously designed for a cruise. This decision seems to be part of a growing trend, in which cruise clientele are choosing designers who are usually land-based to work on their ships. “It’s interesting when you get three competitors working together, but I think it’s worked quite well,” McGillicuddy says. “We’ve got the experience and we’re trying to share what we know, because we’re all working for the same people. It’s not a competition between us, we’re all working for the same end."